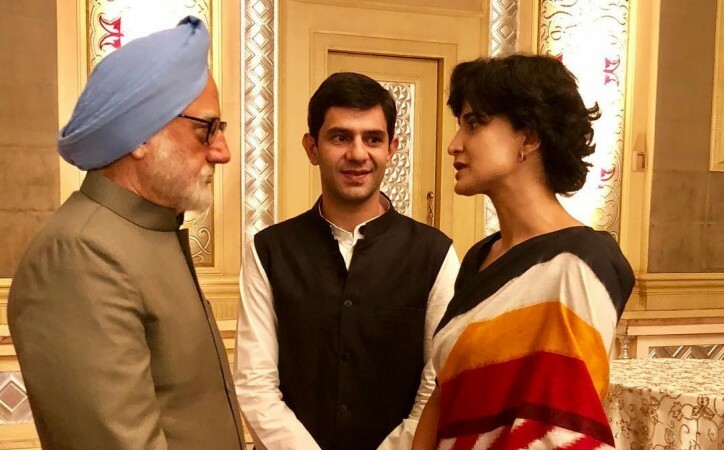 The director of The Accidental Prime Minister, Vijay Ratnakar Gutte, has been booked under the CGST Act, which pertains to "wrongful availment" of input tax credit using bills and invoices issued without any supply of goods or services. The Directorate General of Goods and Services Tax Intelligence (DGGSTI) has arrested Vijay Ratnakar Gutte, the director of The Accidental Prime Minister, in Mumbai for alleged Goods and Services Tax (GST) fraud of at least Rs 34 crore. He has now been sent to judicial custody by a Mumbai court at Arthur Road jail till August 14. The court documents, as seen by The Indian Express, have accused Vijay Gutte's firm VRG Digital Corp Pvt Ltd, of taking fake invoices worth Rs 34 crore involving GST for animation and manpower services received from Horizon Outsource Solutions Pvt Ltd. The company has been under the government agency's radar for doing GST-related fraud of over Rs 170 crore. According to the report, the agency said that Vijay, son of sugar baron Ratnakar Gutte, was not cooperating with the investigation. "The accused (Gutte) had not only availed of non-existent input tax credit (ITC) but further went ahead and fraudulently claimed refund of such ITC from the GST department on the strength of such fake/ bogus invoices to defraud state exchequer," read the remand application quoted by the daily which was filed in the court. The filmmaker has been booked under the CGST Act, which pertains to "wrongful availment" of input tax credit using bills and invoices issued without any supply of goods or services. Under the rules of the tax credit, Vijay is liable to be fined and imprisoned for up to five years. Vijay, who is making his directorial debut with The Accidental Prime Minister, has earlier produced three films - Emotional Attyachar, Time Bara Vait and Badmashiyaan. His upcoming film stars Anupam Kher as former Prime Minister Manmohan Singh and Akshaye Khanna as Singh's media advisor, Baru. The movie is scheduled to release in December. His father Ratnakar Gutte's firms are also facing allegations of Rs 5,500 crore bank fraud. Dhananjay Munde, the Leader of Opposition in the Legislative Council, on July 17, alleged that Gutte's eight firms have defrauded several 26,000 farmers and several banks of over Rs 5,500 crore. He contested the 2014 assembly polls as a BJP candidate for Maharashtra's Gangakhed seat in 2014 but lost.